As vice president of client services for Digital Risk, Leo Loomie focuses on building and maintaining business partnerships, and designing, implementing and maintaining complex business solutions. Thanks in part to his efforts, Digital Risk has been named one of HousingWire’s 50 fastest-growing companies. 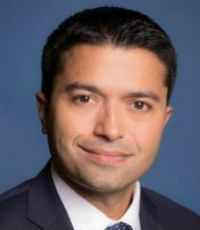 Prior to his role at Digital Risk, Loomie served as a senior manager at Accenture and a consulting partner for both American Express and JPMorgan Chase.